One of the best ways to avoid problems with your heating and cooling systems is to have regular air conditioning services carried out at the beginning of each heating and cooling season. This will ensure that your system is less likely to fail when it’s needed most and that it works efficiently. This may even extend the lifespan of your system and negate the need for earlier replacement. An increase in efficiency and lifespan will save money, especially when compared to the repair bills and failures incurred from not having regular servicing carried out on your equipment. Here are four of the most common repairs that people will encounter during a cooling season. The refrigerant in your air conditioner is vital for the correct operation of your air conditioning system. If there is a leak, you will notice a loss in your level of cooling that will be obvious during hotter days. The leak will have to be repaired, and the system will need to be recharged with refrigerant. When a condensate line or drain becomes blocked with debris or dirt, it can be a big problem. The most noticeable issue could be a leak or pool of water that builds up over time. This could cause water damage in your home as well as a loss of cooling in your system. A regularly scheduled service will ensure that the condensate lines are clear and that the drain is working correctly. This repair is easy to detect and correct before the fan belt breaks entirely. This is an easy fix for a skilled technician, and the part is not particularly expensive. When the belt begins to fail, you may notice a squeaking noise in your air conditioner as the fan belt tries to retain traction. The only solution is to replace the fan belt with a new one and adjust it to work correctly. The air conditioner is a complex piece of equipment with a lot of electrical and mechanical components. When these components fail, it will lead to an immediate loss in cooling and possibly an expensive repair. A regular service can often identify parts that are likely to fail; this is especially true with mechanical components that can vibrate loose over time. If you need high-quality local heating and air conditioning services, contact us here at Gas & Air. We supply, install and service a broad variety of heating and cooling equipment for both domestic and commercial clients. Our technicians are highly trained to provide an excellent level of service at an affordable price. 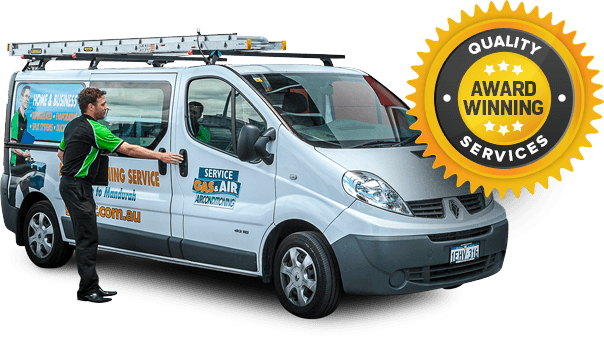 Our sales team is standing by to guide you on the latest air conditioning service cost and to answer any other questions you may have.